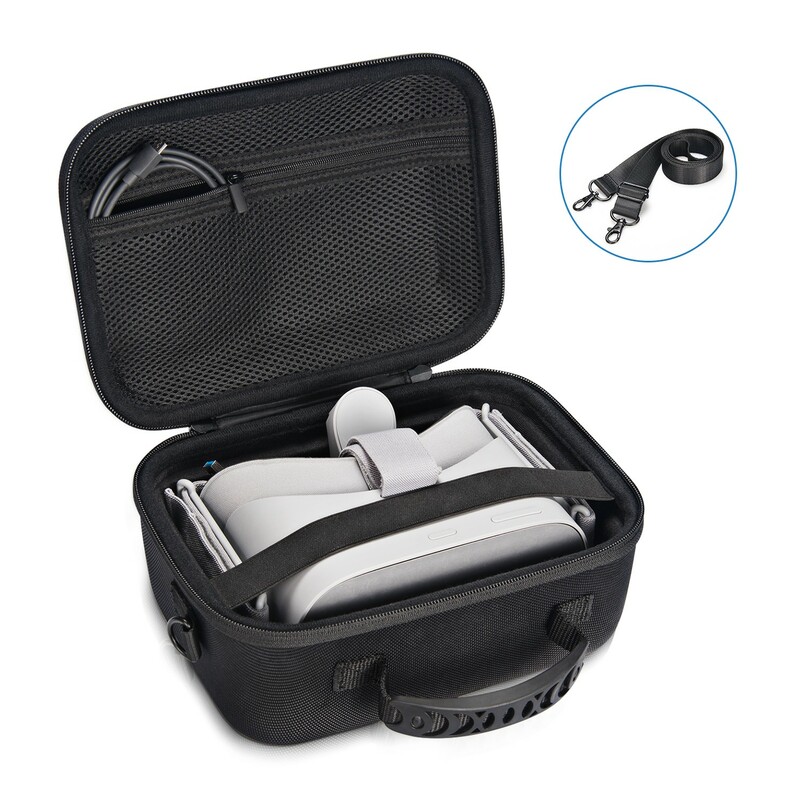 This carrying case is specially designed for Oculus Go Standalone Virtual Reality Headset, it can fit perfectly for your Oculus Go, controller and other accessories. It is made of high quality material, very portable and durable. It can keep your Oculus Go and accessories from light rain and snow, dustproof and shockproof, which is ideal carrying case for storage or travelling.